We’ll be getting four new seasons – EA does specify the number and it seems like an appropriate amount – each of which will make their mark on your simulated world in their own ways. Seasonal activities will include ice skating, summer pool parties, and, er, talking to magic scarecrows, and weather effects will help to keep things varied. Always play it your way with the best sandbox games on PC. You’ll also have “traditional” holidays like Love Day, Harvest Fest, and Winterfest, each of which has its own celebration events including the expected array of gifts, traditions, and NPCs. 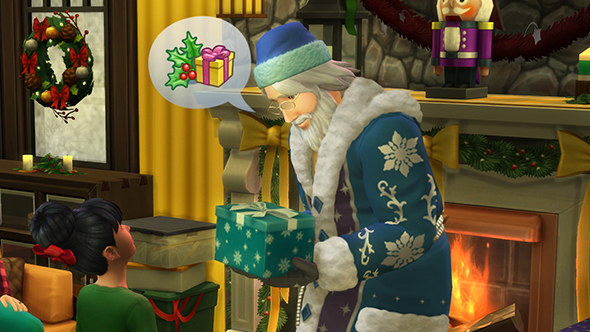 You’ll also be able to create custom holidays, including choosing your traditions and how your Sims celebrate. There’s also a new gardening career, as well as plenty of seasonally appropriate new outfits and hairstyles. Seasons first came to the series with The Sims 2, and this expansion pack has tended to be one of the most substantial and well-loved additions each time it comes around. Hopefully the Sims 4 edition will follow suit, and we’ll find out for sure when the expansion launches on June 22.